Journey Out of Pink: Ring that bell! 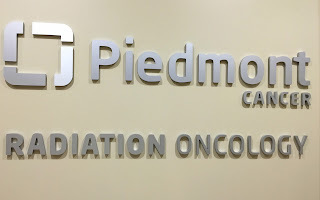 It's been exactly 20 months since I completed 28 rounds of radiation. 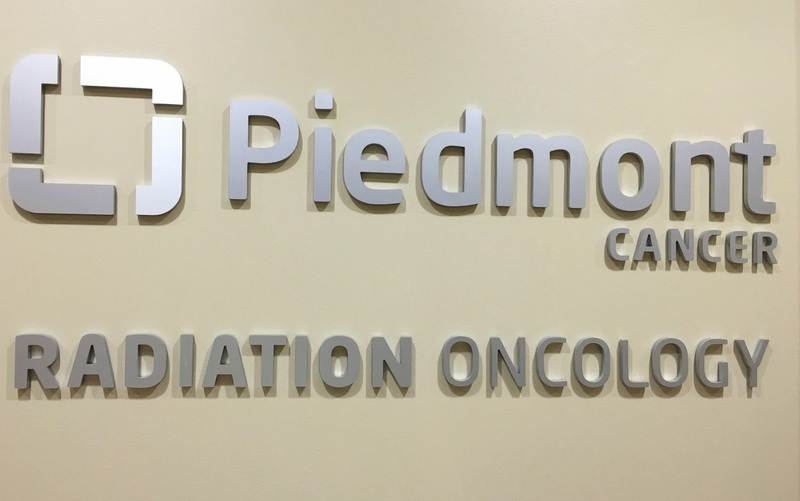 At that time, Piedmont Radiation Oncology was located in an older facility. (They moved to the main hospital about a month after I completed treatment.) While at the new facility today for my checkup, I noticed a beautiful, gold bell on the wall. The receptionist told me it was called a "battle bell." 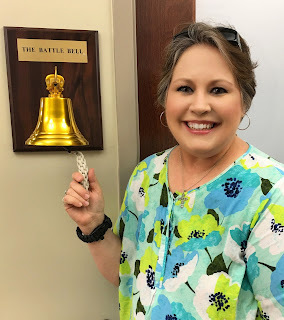 Typically, she said, when a breast cancer survivor completes treatment, she rings the bell and everyone in the office hears it and applauds. There had been no bell in the old facility so I never had the honor of ringing it. When I completed treatment there, my only reward was knowing radiation was over and being handed a certificate of completion. As I was admiring the bell today, the nurse asked if I'd like to ring it since I'd never had the chance when my treatments were completed. I smiled the biggest smile and she asked me to give her my phone. (I hadn't intended on really ringing the bell since it'd been 20 months since I had finished up, but just as she was about to take the photo, I figured why not?! I'd earned the right to ring that bell and I was going to do it.) I grabbed the rope and gave it a firm swing to the right. When I did, the bell pealed and a loud, beautiful sound resonated through the office complex. Everyone who heard it came out of their offices and gave me a big round of applause. I felt so humbled and so honored at the same time. It was amazing and was the perfect way to end my morning of medical visits. I was even happier when I was told I didn't need to report back for one year! Now if I can just get the same good news when I go my oncologist at the end of the month...I'm keeping my fingers crossed!